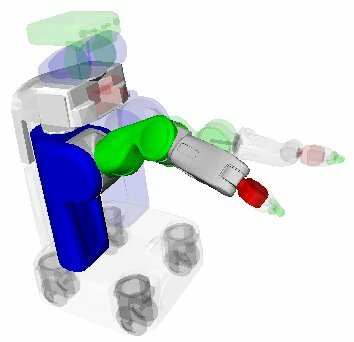 Manages compiled inverse kinematics files for robots using ikfast. First set the active manipulator, and then instantiate the InverseKinematicsModel class specifying the iktype and free indices. The supported types are defined by IkParameterizationType and are propagated throughout the entire OpenRAVE framework. All solve methods take in a IkParameterization structure, which handles each IK type’s serialization, distances metrics, derivatives, and transformation. This will give the success rate along with information whether the IK gives a wrong results or fails to find a solution. If there are a lot of free joints in the IK solver, then their discretization can greatly affect whether solutions are found or not. In this case, it is advisable to reduce the discretization threshold by using the --freeinc option. It is possible to use the auto-generation process through c++ by loading the IKFast problem and calling LoadIKFastSolver command. ikfastloader.cpp - example for loading IK in C++. which can then be loaded by OpenRAVE. instead of generating a new one. --freeinc=FREEINC     The discretization value of freejoints. Will test the ik solver and return the success rate. might be a little slow. Generates analytical inverse-kinematics solutions, compiles them into a shared object/DLL, and sets the robot’s iksolver. 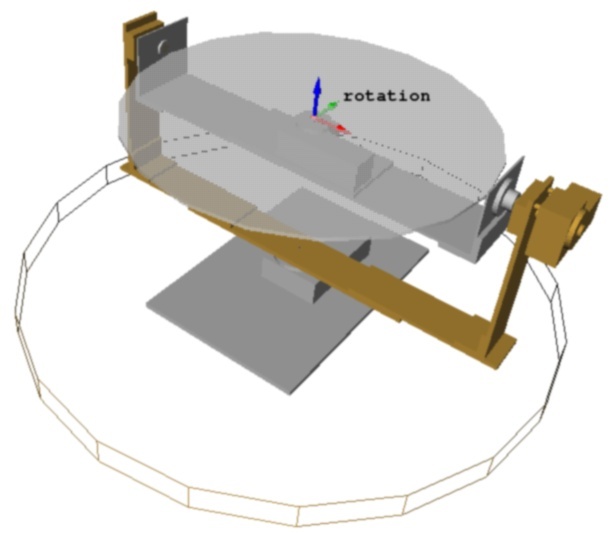 Only generates the models for the robot’s active manipulator. To generate IK models for each manipulator in the robot, mulitple InverseKinematicsModel classes have to be created. Returns a default set of free indices if the robot has more joints than required by the IK. In the futrue, this function will contain heuristics in order to select the best indices candidates. Sets the ik solver on the robot. freeinc is a list of the delta increments of the freejoint values that can override the default values. Destroys the entire OpenRAVE state and all loaded environments. This functions should be always called before program shutdown in order to assure all resources are relased appropriately. Searches for a filename in the database and returns a full path/URL to it. if true will only return a file if it exists. If false, will return the filename of the first valid database directory. a non-empty string if a file could be found. Command-line execution of the example. args specifies a list of the arguments to the script.